Understanding the differences between the balance sheets of insurers and other financial intermediaries is essential to understand the potential differences in risk nature and differences in optimal regulation. Despite the importance of insurance in enabling individual and collective social, economic, and financial activities, discussions about the macro-economic role and risks of insurance markets are surprisingly limited. 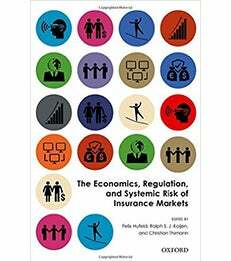 The core motivation for publishing this book is to bring together academics, regulators, and industry experts to provide a multifaceted array of research and perspectives on insurance, its role and functioning, and the potential systemic risk it could create. The first part discusses the macro-economic role of insurance and how insurance is different from banking and general finance. Understanding the differences between the balance sheets of insurers and other financial intermediaries is essential to understand the potential differences in risk nature and differences in optimal regulation. The second part of the book focuses on the risks of the insurance sector and the potential for systemic risk. The various chapters discuss the risks both on the asset and liability sides of insurers' balance sheets. The third part of the book covers the impact of regulation on insurance companies. Existing regulation is often complex and has a large impact on insurance companies' decision-making and functioning. The chapters also illustrate the unintended consequences of various forms of regulation. The book concludes with a summary of a survey that has been conducted in collaboration with McKinsey, where insurance executives have been asked about the risks and regulation in the insurance sector. The survey provides guidance for future research on insurance markets.